What art file formats are accepted for production? We prefer art to be submitted in .ai, .eps, or .pdf. If the art submitted is a .jpeg, .png, or is otherwise not editable, it may require an additional fee to have the art redrawn. How should I submit fonts? Any fonts used in the production of art files should be outlined prior to submission. If future typesetting will be required, the original font files must be included with the artwork file. A setup fee is a charge by the manufacturer that is associated with the cost of setting up a product for production. This may be a screen, die, or plate that must be created in order to decorate your logo onto a product. Prices on these items vary depending on the method of decoration and the amount of colors you use in your decoration. This is why your sales team may guide your towards a one color logo, or a single location imprint if it is a better fit for your budget. Often, there is a lesser set-up fee to reproduce a product for the second time. And sometimes, depending on the product or manufacturing process, there is no fee at all. What is the difference in debossing and embossing? 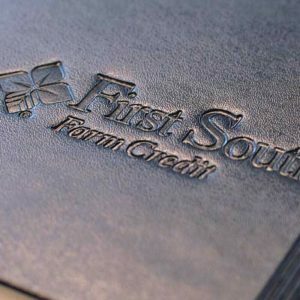 On leather and paper goods, we often use a technique called embossing or debossing. Debossing means there is a deep impression in the material, so when you run your finger over it, there is an indentation where the bulk of your logo is decorated. What is a pad print? 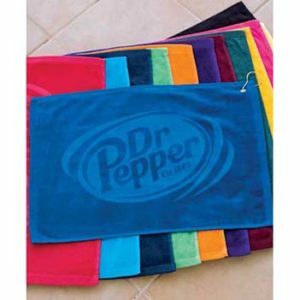 Pad printing is the most common technique we use for decorating products with your logo. The process is very much like it sounds. It is like taking a stamp and using that stamp to decorate your product. This is a modern technique of printing and was developed for use in decorating objects that are more uniquely shaped, like cups and mugs. Tone-on-tone refers to a more elegant style of printing where the color of your logo is slightly lighter or darker than the object the logo is being printed on. It is a nice way to decorate a logo if you are looking for something that feels more high-end and less branded. Digitizing is the process of preparing an art file that an embroidery machine can use to sew onto a garment. Standard production times are 7-10 business days from the time that an order is sent to the factory. Shipping time is factored separately, depending on the location of the factory and your destination. If you order apparel, the apparel is often sent from a warehouse to a screen printer and then to your location. 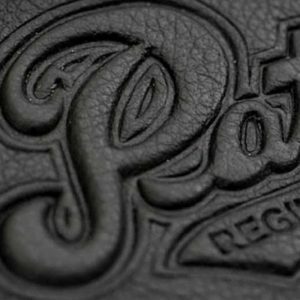 This allows us to put your logo on the garment that you like best, rather than forcing you to choose from a small selection. Keep in mind that this increases the production time on the product and has an effect on how long it takes for the product to arrive. If you need the product in a hurry, coordinate that openly with your Signet® account team. If you order an inventoried item from one of our company store programs, and that item is in stock, it will ship the same business day if the order is placed before 5pm. How does safety testing affect production? If you need an item that requires safety testing (such as a children’s item), Signet will recommend items from preferred vendors with current safety testing on file. If your item requires additional testing, or you would like to produce a custom item that requires certain safety testing standards, there is an additional 6-8 weeks added onto production for safety testing from a trusted third-party facility such as UL-STR or Intertek. How long is production on kitting and collation projects? Production times vary depending on the scale and scope of each project. Contact your account executive for more information. An imprint area defines the exact size and location on a product that a vendor is able to print, based on the product specifications and the machinery used to decorate. The imprint area can not be changed. Why can my logo not be as large as I want it to be? Anything is possible when it comes to producing custom products. Signet can manufacture and produce custom products both domestically and internationally for our clients. Sometimes clients want to recreate products that they have found at retail or received as gifts, and it is not possible to do so domestically. For example, a product may have an oversized logo which was decorated onto the product at the time of manufacturing. This usually means the product was created overseas at a higher quantity and longer lead time. Signet has the capabilities to produce absolutely any branded product that you would like, and we will guide you towards the products and decoration techniques that fit your budget, timeline and quantity. Minimum order quantity varies by product and there is no industry standard. Quantity is most often determined by the factory based on how the product is decorated and how the decorating machine is designed to print. What is the charge for a sample or a pre-production sample? Speak directly to your sales person in relation to charges for random samples or pre-production samples. How are printed t-shirts priced? For traditional screen printing, there is a price change for every location you decorate a shirt and every ink color used in that location. This is because a different screen must be made for each location and for each ink color. Your Signet account rep will be glad to work with you on the best piece of apparel that can be decorated within your budget and time frame! What is a "rush" order and how does this affect pricing? Any order that needs to be produced and delivered in 7 business days or less is considered a rush order. That’s because this order will require special attention by the factory to move it to the front of the production line. Rush orders may incur rush fees which are imposed on Signet by the manufacturer, as a fee for rushing the order to the front of the production line. Additionally, rush orders may incur expedited shipping fees in order for them to arrive to your destination by your event deadline. To avoid rush shipping fees, your Signet rep will often recommend products that can be produced in 24-48 hours or less. It is always in the best interest of all parties to be honest about the firm date the product is needed in hands for your event, so that we can do our best to manage the production process and ensure a successful delivery! What payment is accepted by Signet, Inc.? Payment terms are extended on a case-by-case basis, pending successful credit approval by Finance, and must be set up in advance of order placement. Is sales tax included in billing? Orders delivered in Tennessee are subject to a 9.25% sales tax. Our products ship directly from the factory where they are manufactured and most factories are a three day ground ship from TN. If you are ordering a warehoused product is pre-decorated and in-stock, your order will ship the same business day, if the order is placed before 5pm. Can you ship on my shipping account number? We can ship on your shipping account number. When not utilizing a client account, FedEx is our carrier of choice. Orders can be subject to a 10% over/under run which accounts for spoilage and overage in the printing and production process. This is most common in paper printing, and can occur in other products as well. IT'S TIME FOR SOME FRESH IDEAS. 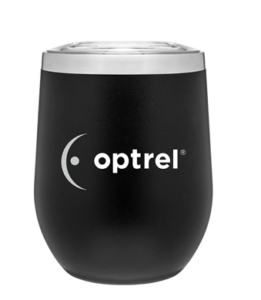 Explore thousands of cool promotional products that will help your company stand out from the crowd!